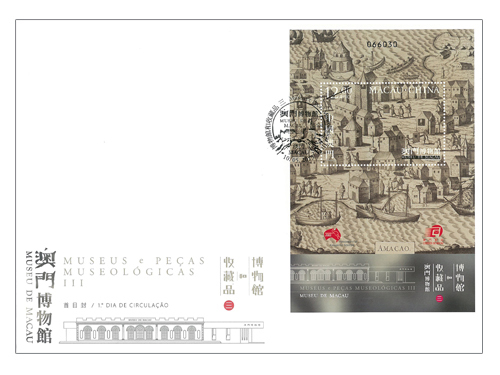 Macao Post issued the stamp themes “The Macao Museum of Art” and the “Communications Museum” under the stamp series of “Museums and their Collections” between 2003 and 2006. 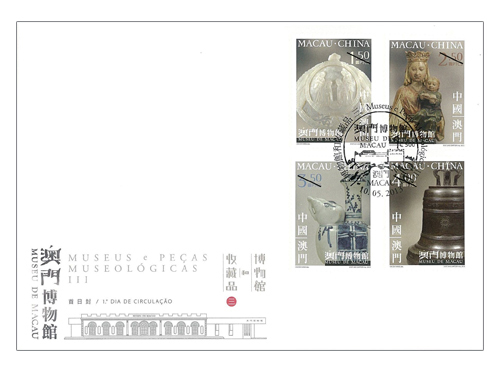 The third series with the stamp theme “Museums and their Collections III – Macao Museum” will be issued on 10th May, 2013. 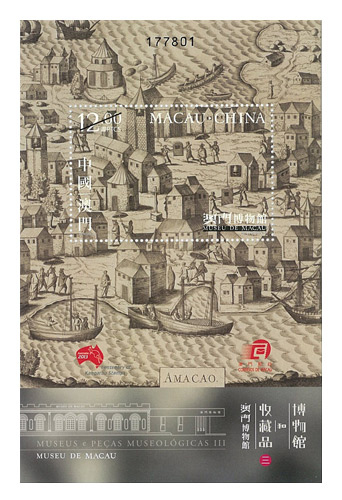 The Macao Museum is a place which showcases the multicultural history and folk customs of Macao in one of the historical monuments of the Macao Peninsula—the Mount Fortress. 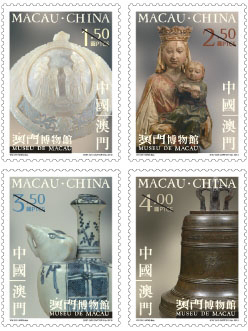 This issue includes a set of four stamps and one souvenir sheet, the images presented the precious collections in the Macao Museum, which includes: “Nativity” carved mother-of-pearl; “Our Lady and Infant Jesus”, painted stone sculpture; Elephant-shaped Kendi” Kraak porcelain; Bronze Bell of St. Paul’s Church; and “AMACAO” copperplate engraving. 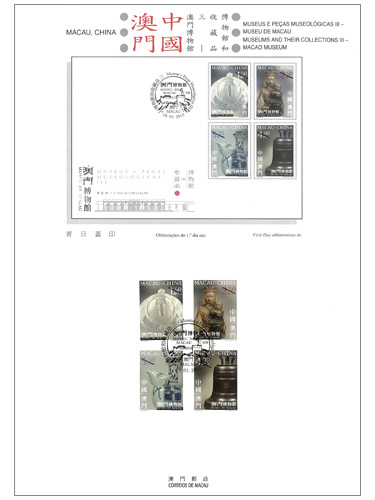 To highlight the stamp exhibition to be held in Melbourne, Australia from 10 to 15 May, 2013, the souvenir sheet of this issue carries the logo of “Australia 2013 World Stamp Exhibition”. 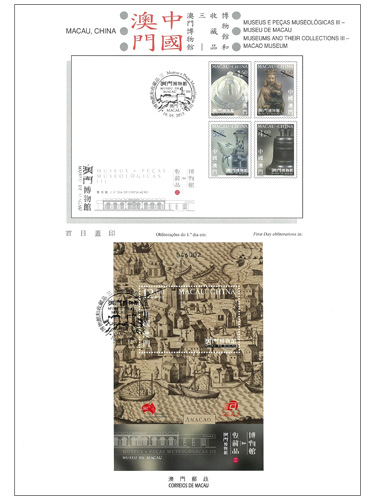 The design of this stamp issue and the text of the information brochure are responsible by Macao Museum. 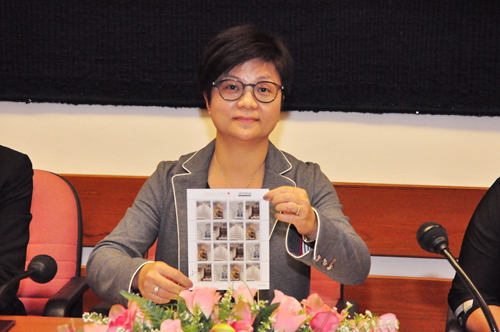 The stamp designer of Macao Museum is Mr. Vai Chi Hang. 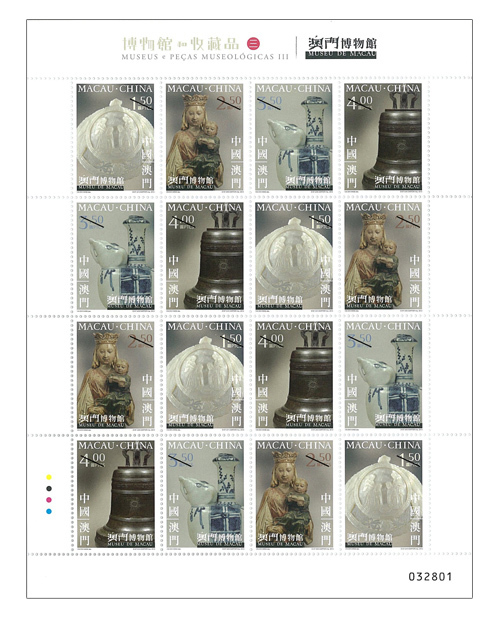 This is the seventh issue in 2013. 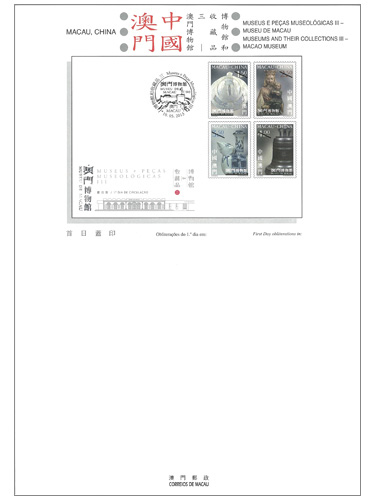 The previous issued stamps are “Lunar Year of the Snake” on 03/01/2013, “Centenary of the Macao Chamber of Commerce” on 23/01/2013, “Mainland Scenery V” on 01/03/2013, “20th Anniversary of the Promulgation of the Basic Law of Macao” on 31/03/2013, “130th Anniversary of the Establishment of the Fire Brigade” on 25/04/2013 and the label stamp “Lunar Year of the Snake” on 30/04/2013.